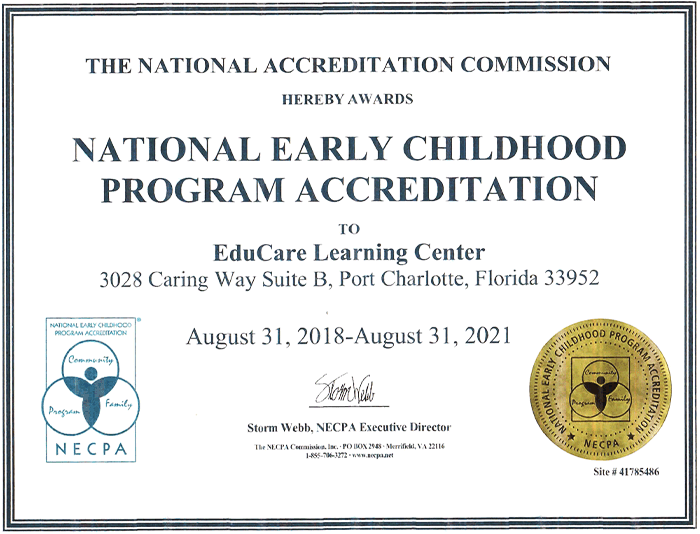 Congratulations to Educare Learning Center in Port Charlotte who received their renewal for Gold Seal Accreditation! Educare Academy in Bonita Springs will receive their renewal by the end of 2018! 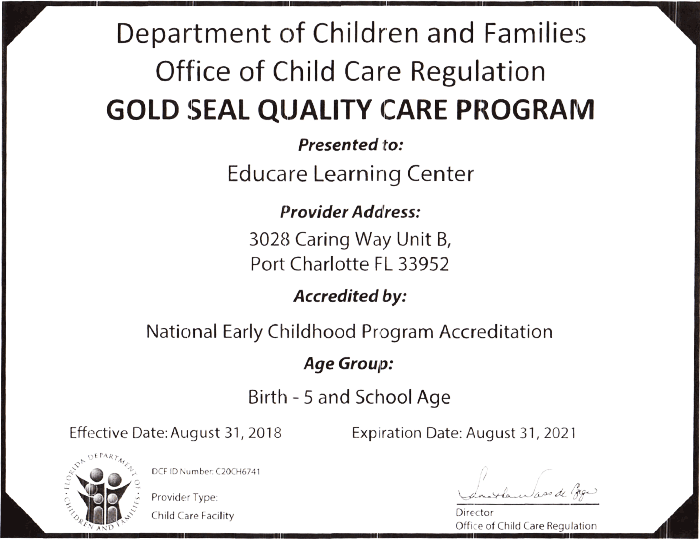 The Florida Legislature established the Gold Seal Quality Care program to acknowledge child care facilities whose standards reflect quality in the level of care and supervision provided to children, and to establish incentives for facilities to provide school readiness and early learning environments. The Gold Seal Quality allows care providers to participate in VPK (Voluntary Pre-Kindergarten). Both Educare facilities have quality VPK programs!